The Sixth Avenue Ballroom is a Topeka banquet facility offering the intrigue and elegance of a historic downtown venue, catering to groups up to 200. Sixth Avenue Ballroom is the perfect place for weddings, receptions, conferences, dances, seminars, seated dinners, and cocktail parties. Our restored 1920s stage is an ideal place for private performances, presentations, and bands. Our spring loaded original dance floor is unmatchable in Topeka. We offer a private catering kitchen with new stove and refrigeration. We offer the availability of a full bar with our own liquor license. We have a beautifully appointed adjoining foyer and sign-in area, as well as a private dressing room. We offer clients the flexibility to do things their own way. Sixth Avenue Ballroom can transform to the clients specifications, by our design or their own. Clients will have the option to bring in their own caterers, rentals, bands, etc., unlike venues where you must use all of their services and meet minimum purchase requirements. We focus on the space, and yet are able to offer as much or as little as our clients need, including help with finding catering, audio-visual equipment, florist, cakes, bands, decorating, and total event planning. 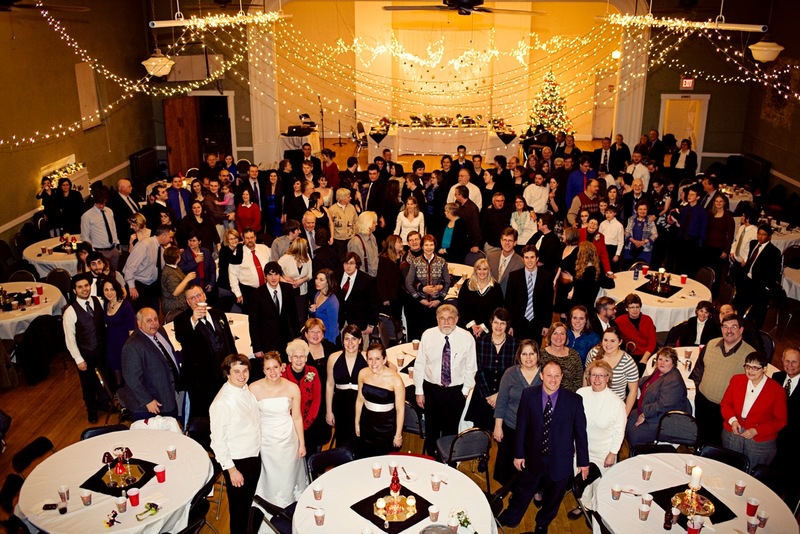 The Sixth Avenue Ballroom's central location for many Topeka churches, allows perfect access after weddings for receptions and dances. 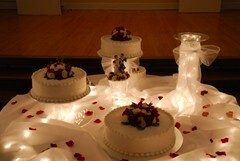 We have also done both the wedding and the reception in our space. Just a few blocks from the state capital, Sixth Avenue Ballroom is an ideal and private location for legislators to gather. Our downtown location makes us an ideal site for businesses to hold events, from day seminars to holiday parties. The Sixth Avenue Ballroom is a strong addition to downtown Topeka, offering a unique, well appointed multi-use facility, bringing families, and businesses back downtown. The Sixth Avenue Ballroom fills a need in Topeka for a medium size, upscale, multi-use room. Choices have been limited to the often extremely expensive hotels and country clubs to the opposite end of the spectrum being church halls, and local lodges, which can often meet their budget restrictions, but usually lack in ambience. Sixth Avenue Ballroom, like Governors Row, the Woodward, and the Senate Suites, offers a taste of Topeka's rich history. In addition to its historic values, our location is right downtown, and large enough for groups larger than these others competitors. The Sixth Avenue Ballroom has functionality unsurpassed by other venues, converting from a conference room with classroom seating and an audiovisual presentation to being a storybook wedding site for a bride and groom.